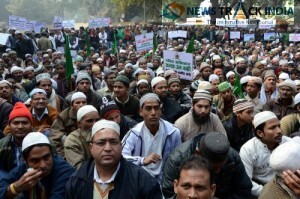 In a clear message to the Government of Saudi Arabia, a big section of Indian Muslims today demanded here that the Saudi regime must sign a treaty with all the governments of the world and assure in clear terms that no damage will be done to the cultural heritage of Muslims and sacred signs of Islam in the Saudi kingdom. 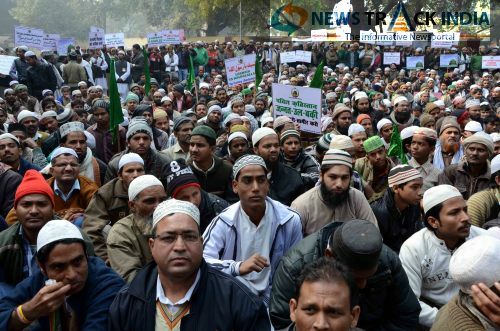 This was communicated in a memorandum to the Embassy of Kingdom of Saudi Arabia after a peace march at Jantar Mantar which was addressed by Maulana Syed Mohammad Ashraf Kichhouchhwi General Secretary of the All India Ulema and Mashaikh Board and others. 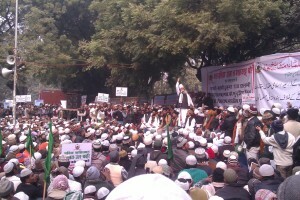 Maulana Syed Mohammad Ashraf Kichhouchhwi in his speech dealt at length with the activities of Saudi authorities. The behavior with the Indian pilgrims was specially mentioned by Maulana Kichochvi who said that Saudi authorities force Indian hajis to practice Wahabism and stop the p pilgrims from performing rituals according to their practices. 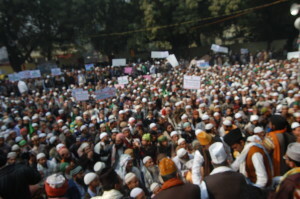 In cases even when offering ‘’Salaam’’ to the Prophet is carried out silently with a view to avoid offending the rulers, the authorities come down heavily. He said in some cases Indian pilgrims are arrested and humiliated and the Indian officers sent to take care of the pilgrims lend no support to their fellow citizens and willfully allow the Saudis to play their game fearlessly. He said while in case of other nationalities their hajj officers and staff of embassy or consulate put up resistance and ensures their safety and dignity but this is not the case with Indian officers. Maulana Mohammad Ashraf Kichhouchhwi also demanded that all the bulldozed cultural monuments and signs of Islam including Jannatul Baqee and Jannatul Moalla must be restored and developed and decorated accordingly. The gathering was also of the view that Indian officers sent to Saudi Arabia during Hajj are selected on the basis of their ideology and Wahabis are given charge of the Hajj affairs who have till now demonstrated that they are better suited to serve Saudi/Wahabi interests not the interests of Indian pilgrims. 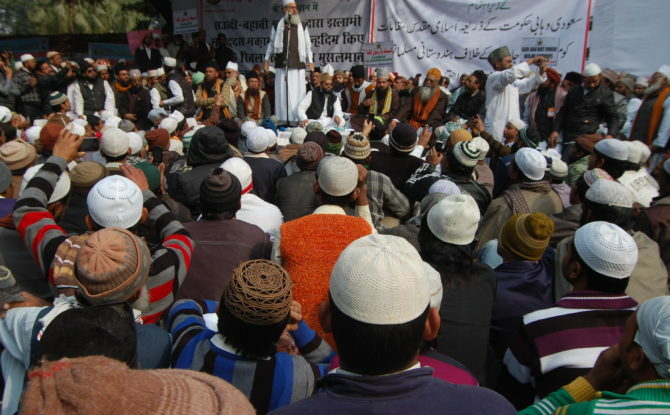 Maulan Kichhouchhwi also said that Saudi/Wahabi influences can be easily seen in the government bodies of India requiring Muslim representation. 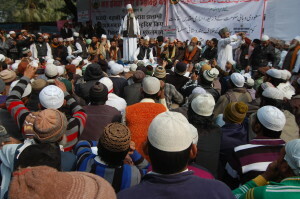 Almost all such selections are done on the basis of ideology and Wahabis are chosen to represent Indian Muslim ignoring the very vast majority [almost 80 %].The Waqf boards and waqf council and Hajj committees are by now transformed as the centers of propagation of Wahabism through government machinery. He said demolition of Ghausia Masjid in Delhi is not an isolated incident it is well connected with the developments taking place in Libya, Egypt, Tunisia, Syria, Afghanistan, Pakistan and India and of course in Saudi Arabia which is leading them ruining the cultural heritage of Islam every where. In all the above mentioned countries tombs of Sunni Sufi saints and Godly Muslims are being targeted because they happen to be centers of propagation of peace and amity and tolerance in the human race much above individual faiths while Saudi Wahabi ideology refuses to concede tolerance and peace its real virtue.